On April 10, PCSAO testified on HB 166, the Biennial Budget, before the Health and Human Services Subcommittee of the House Finance Committee, chaired by Rep. Mark Romanchuk (R-Mansfield). The panel included PCSAO Executive Director Angela Sausser, South Central Ohio JFS Director Jody Walker, Richland County Children Services Executive Director Patricia Harrelson and former Adams County foster youth Jerica Estle-Grooms. Each underscored the importance of proposed new investments in the children services system, including $30 million per year for the State Child Protection Allocation and $25 million per year for multi-system youth. 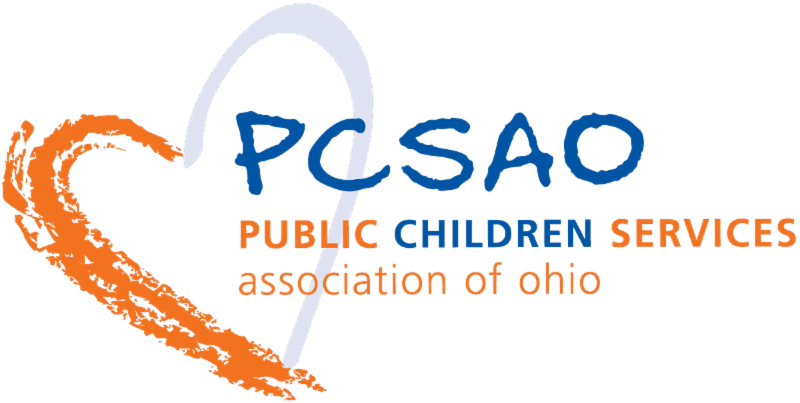 Included in Sausser’s testimony was a PCSAO document titled Stories from the Field: The Need for Reform , which details seven moving anecdotes from across the state that illustrate the need for improving Ohio’s infrastructure of residential treatment centers that serve young people with serious mental illness, developmental delays and juvenile delinquency. You can find the video and statements of the panels testimony here . On April 8, the annual Trainer Conference hosted by the Ohio Child Welfare Training Program focused on Team Based Learning (TBL) and featured Dr. Elizabeth Winter, assistant professor at the University of Pittsburgh, as both keynote speaker and workshop presenter. TBL offers trainers an opportunity to facilitate discussions of “messy” problems on topics like child welfare, helping new and experienced staff improve practice and retain knowledge. The OCWTP State Steering Committee met April 10 to learn about new foster family model licensing standards and discuss evaluation. Thanks to everybody who participated in the annual Wear Blue Day April 10. Photos posted on PCSAO and agency Facebook pages demonstrate the number of people across the state raising awareness about child abuse and neglect prevention. Check out some of the photos and mark your calendar for April 8, 2020. Longtime Columbiana County JFS Director and former PCSAO trustee Eileen Dray-Bardon will retire May 3. Best wishes on a well-deserved retirement! Deputy Director Rachel Ketterman will serve as interim director, and the agency recently named Erin Stauffer as the new social services administrator. Rules in Pre-Clearance: Chapter 5101:2-48, Adoption Rules are in pre-clearance until May 2 due to five-year review. You can review and comment here. Rules in Clearance: As of April 12, no children services-related rules were in Clearance. Registration is available for the “ EDMS: Child Welfare Taxonomy Q&A Part 2 ” webinar April 29 from 10–11 a.m. to provide an opportunity for participants to ask taxonomy-related questions of EDMS project team members and pilot county participants. 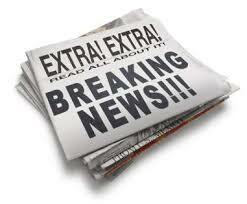 To report possible issues in the EDMS, contact the EDMS Help Desk at 866-442-6902 or EDMSHelp@teamnorthwoods.com . For general EDMS questions, send an email to EDMS@das.ohio.gov . Courts, school officials and others are welcome and encouraged to attend Why Teens Kill, a course on the causes of teen violence, dangerous youth culture, and school safety. The course is taught by Phil Chalmers, considered to be America's leading authority on juvenile homicide and juvenile mass murder. Chalmers has studied the youth culture for over 25 years and is knowledgeable in youth culture, youth behavior, and the effects of youth entertainment. The class will be Aug. 14 from 8 a.m. - 5 p.m. at OPOTA Richfield, 4055 Highlander Parkway, Richfield, 44286. Free parking is available on-site. For more information, contact Sarah.Shendy@OhioAttorneyGeneral.gov. It's all part of Ohio Wears Blue Day. Contrary to public perception, children impacted by abuse and neglect are not usually removed from the home, according to Kim Wilhelm, the Licking County Children Services administrator. Stacy Ferencik, community liaison / recruitment specialist for Trumbull County Children Services, said the color blue has been adopted by survivors of child abuse and neglect to bring awareness to their cause. More than half of the neglect and abuse cases Clark County social workers encounter involve drug activity. About 250 children are either in foster care or in a kinship program right now, Clark County Department of Jobs and Family Services Deputy Director Denise Estep said. For many of those children, drugs contributed to them being separated from their parents. The director of the Ohio Department of Job and Family Services laid out an ambitious plan this week to boost spending on improving child protection and bolstering early education and child care initiatives.
" Progress lies not in enhancing what is, but in advancing toward what will be."